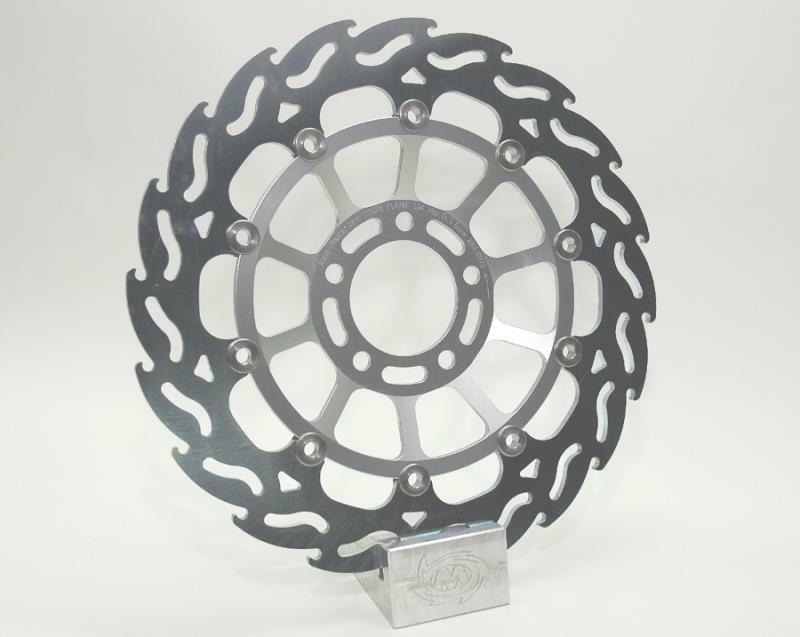 Moto-Master street replacement rotors provide a bolt-on performance boost to your bike. The Moto-Master flame design rotor is a multi- superbike-championship winner that provides instant improvement over a standard OEM rotor. They are made from hardened and refined Crome-Molybdenium alloy steel. This material guarantees for extremely little rotor wear and best performance. They are lasercut, CNC drilled and prescision surface machined to provide perfect fitting and flatness. This ensures a perfect feel with more stopping power while applying less pressure to the brake lever. The revolutionairy flame design provides optimal cooling and brake pad cleaning without tilting of the pads. Moto-Master rotors can be used with any type of brake pads including sinterbronze, kevlar and ceramic carbon pads. Available in flame and standard design according to reference.